Under the Oak Tree: Introducing the... "Name that Pond" Contest! The contest has been extended a week! Get your submissions in to win! Aerial view of ponds at Arington Tree Farm. 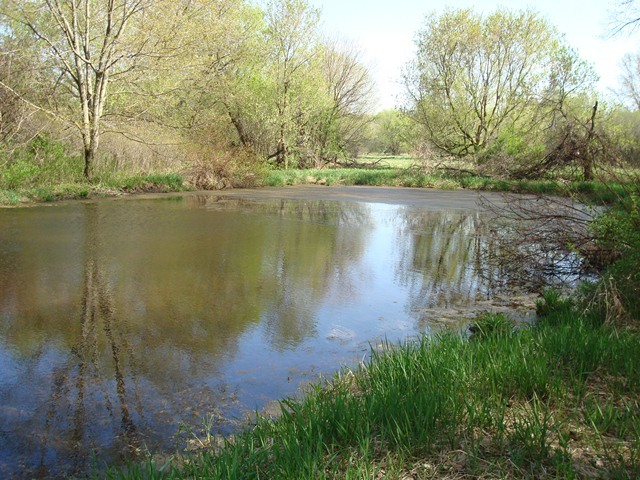 · "Pond B" is a smaller, more hidden pond on the farm. Nearly entirely surrounded by trees and brush, ducks like hanging out in this spring-fed pond. 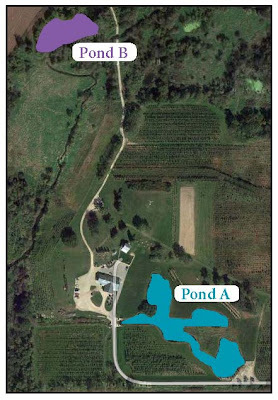 Our plans for this pond are less intensive but include creating better access for more wildlife viewing and perhaps a canoe "ramp" for easy in/out. 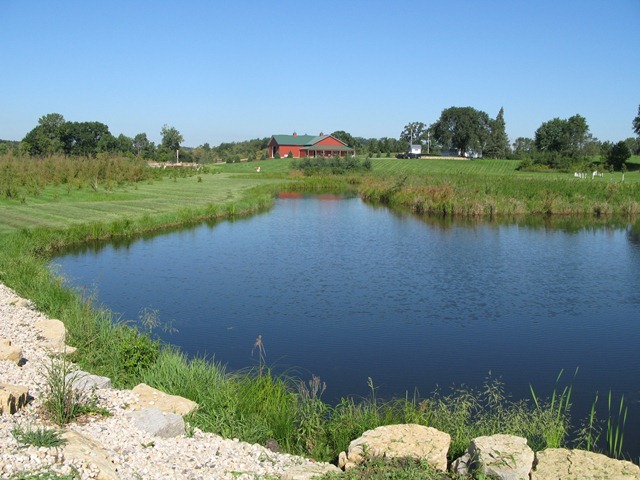 Pond experts Richard Wedepohl and David Marshall are helping us develop a written plan of action for the ponds. They were out earlier this week to do some preliminary data collection and will be back in February to test the water depths, temperature and quality. 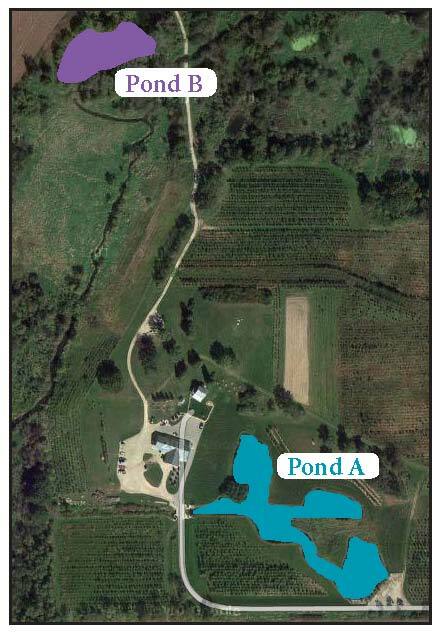 Enter your name ideas for Pond A and Pond B by posting a comment below or by emailing me. You can enter as many names as you like! Deadline is 8:30 AM Central Standard Time on Friday, January 18, 2013 Friday, January 25. Later that day, the Judging Panel will convene to vote on the best name submissions for the two ponds. Judging panel includes Joe, Rachel, Gaea, Arik and myself. Winners will be notified via email and the winning names will be posted in an upcoming blog post and on our Facebook page. Submit your name ideas today! Pond A Flying Goose Pond. (looks like an abstract goose flying) Pond B Tranquility Pond. Thanks Kendra and Goffs! We also got some submissions via email. Will announce the winner next week!